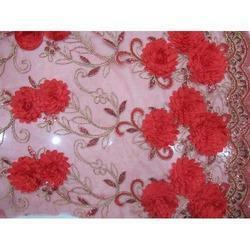 Our company is counted as one of the leading company offering quality range of Embroidery Net Fabric. With the latest demands and requirements of our prestigious clients, we fabricate the entire product line using superior quality basic material. 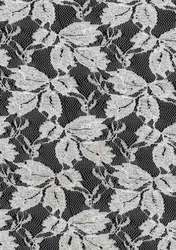 With an established reputation in this market, we are involved in providing Fancy Embroidered Net Based Fabric. Dyeable Net fabric with golden and white chain embroidery ; width- 40"